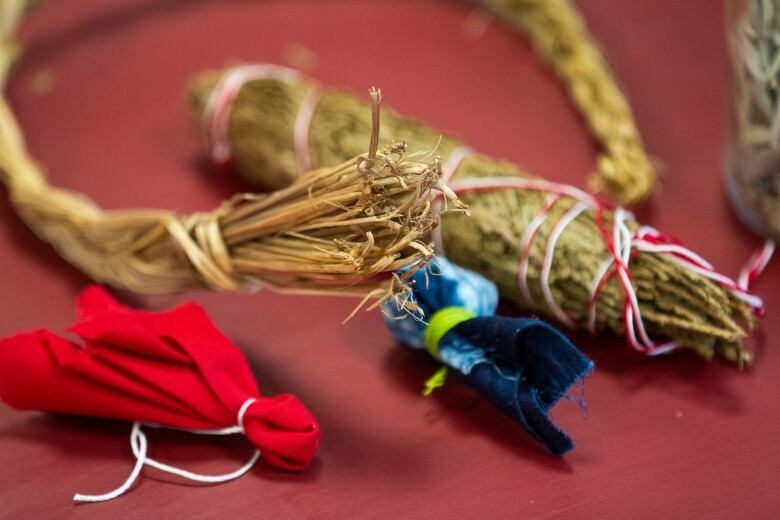 A Nakawe elder says her traditional medicines were “desecrated” during a routine security screening in February at the Halifax Stanfield International Airport. Geri Musqua-Leblanc, a residential school survivor from Keeseekoose First Nation in Saskatchewan, said a Canadian Air Transport Security Authority (CATSA) supervisor denied her request to have her golf ball-sized medicine pouch, worn around her neck and filled with plants considered to be sacred, put through an X-ray machine instead of being opened and handled. “I was near tears,” said Musqua-Leblanc. 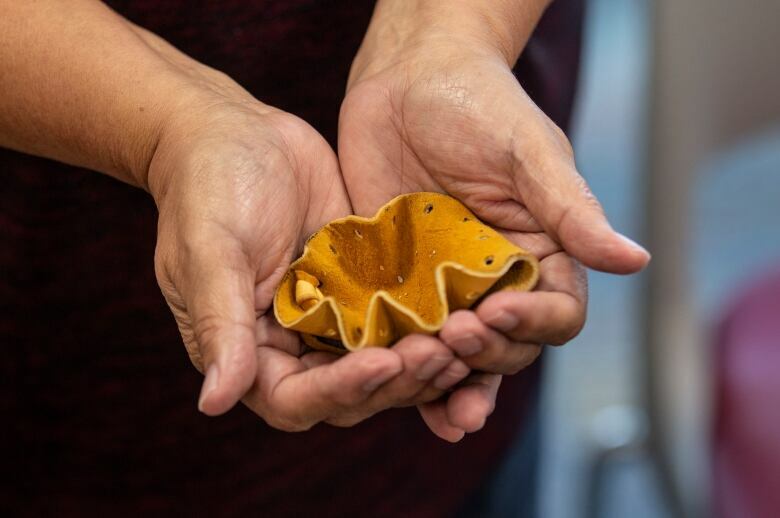 Musqua-Leblanc is the co-ordinator of the Elders in Residence Program at Dalhousie University and regularly shares her knowledge about traditional medicines with students and the community in Halifax. “It’s tough to describe that significance,” Musqua-Leblanc said. In the security line, Musqua-Leblanc said she was anticipating setting off the metal detector since she’s had a knee and hip replacement, but that she’d forgotten she was wearing her deer-hide pouch. When the alarm sounded, a CATSA screening officer asked to hold the pouch while she was scanned with a metal-detecting wand. “I said ‘Don’t touch the medicine pouch’ … and handed him the string. He was just holding it in the air,” she said. 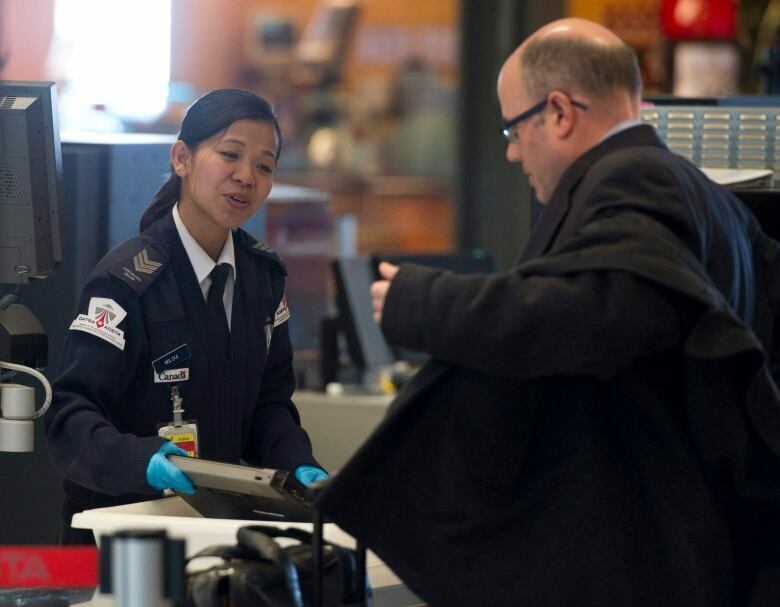 A CATSA spokesperson told CBC News in an emailed statement that the authority’s policy is that “all items must be scanned,” and that there are specific procedures in place for sacred items. “The training CATSA offers on religious or culturally significant items is applicable to items from different faiths and beliefs, and is not specific to Indigenous cultures,” the statement said. Musqua-Leblanc said her partner passed the checkpoint behind her, wearing a similar pouch. She said that she began feeling anxious, as other travellers were looking and listening to the exchange. “I was embarrassed at this point because people are going through and they’re [trying] to figure out what’s going on. I said, ‘Well I have no choice. I have to open up this medicine pouch at this point,'” said Musqua-Leblanc. Musqua-Leblanc said she held the pouch in front of the female supervisor to show her that the contents were soft and small, but the supervisor took the pouch to physically examine the contents herself. Musqua-Leblanc said she was also asked to untie the deer hide strap, and the cotton fabric tie inside so the officer could see the medicines. “Those medicines are now desecrated,” said Musqua-Leblanc. Musqua-Leblanc said her distress could have been avoided if the supervisor had allowed the pouch to be X-rayed instead. CATSA’s spokesperson said officers typically wouldn’t deny such a request, “unless [the item] is a live animal or an oversized item too big to go through the X-ray,” but wasn’t able to comment on the Halifax supervisor’s decision. “I’m glad they’re there but my medicines give me a different sense of safety, and it’s important,” she said. She hasn’t filed a formal complaint with CATSA, but the organization has requested more information about the incident from her. Upon arriving at her vacation destination in the Dominican Republic, Musqua-Leblanc said she offered the medicines to the ocean in ceremony, since she could no longer use them. She said that while in that country she was admitted to an intensive care unit and diagnosed with heart problems. “I’m not saying it’s connected [to the airport incident],” she said.